We look forward to meeting you and helping you care for your dental health.
" If you are looking for a dentist. I highly recommend Perfect Smile!!" "Beautiful dental office with experienced and friendly staff. Highly recommended!" "Highly recommend Perfect Smile Dentistry for anyone or any family!" "Very friendly staff! Quality work by my dentist and my hygienist. " "Great customer service! Kind and gentle clinicians, everyone is friendly"
"I have never had a bad experience and would refer anyone there! " 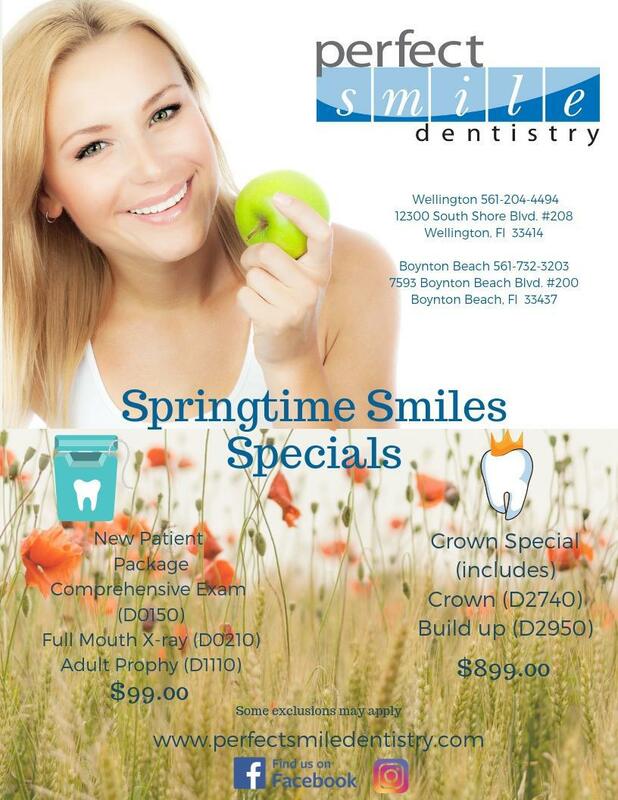 Perfect Smile Dentistry provides comprehensive general dentistry services and cosmetic procedures to residents in the areas of Wellington and Boynton Beach, Florida. All of their patients, from young children to retired neighbors, appreciate their comfortable offices and the extra steps they take to help them relax, such as offering DVD movies to watch with digital goggles while getting dental treatment. Perfect Smile Dentistry is a state-of-the-art dental practice that uses the best technology to ensure quality dental care, as well as patient well-being. They use digital X-rays and intraoral cameras because they’re more comfortable for the patient than traditional X-rays. These cameras also provide high-definition images that reveal in-depth dental details. The practitioners at Perfect Smile Dentistry strive to live up to their name and to “Create Your Perfect Smile.” They have extensive experience performing cosmetic procedures to whiten teeth and offer a variety of options such as crowns, veneers, and Lumineers to correct chips, cracks, gaps, and uneven teeth. The dentists are Certified Premier Providers of Invisalign clear aligners, which means you can get uneven or misaligned teeth straightened without wearing a mouthful of metal braces. 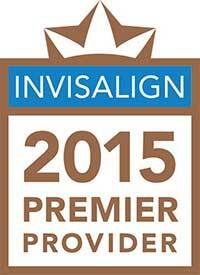 When you come to Perfect Smile Dentistry, you can depend on individualized attention. They schedule a limited number of patients to ensure you have plenty of time with the team. Whether it’s time for a routine checkup, you have a toothache, or want to improve your smile, you can count on them for all of your dental care. Their general dentistry services include, but aren’t limited to, routine checkups, fillings, full and partial bridges, dentures, tooth extractions, root canal therapy, and dental implants. Learn more about Perfect Smile Dentistry! At Perfect Smile Dentistry, we accept most PPO insurance plans. Please note we do not take any HMO or Medicaid. Please contact our office if you do not see your insurance plan listed. Perfect Smile Dentistry offers financing options for your dental treatment. A short application is required, and in most cases you will be approved within 30 minutes. We will file your application for you and complete the necessary forms.